Students have closed their books for summer but schools and parents alike are working to make the grade in the next stage of the day-school tuition crisis saga. Raising one child can cost a middle-income family $19,380 to $23,180 a year, according to a recent study by the U.S. Department of Agriculture. And if that family is dedicated to a day-school education, which can cost anywhere between $8,000 and $60,000 a year, then it’s time to start getting creative. According to UJA Federation of Northern New Jersey, 4,822 students attended kindergarten through 12th grade in one of Bergen County’s 13 yeshiva day schools during the 2009-10 school year. The country’s economic downturn pushed the tuition crisis out of the shadows of griping around the Shabbat table and into a very bright spotlight. Beginning with an early 2009 educators conference at the Orthodox Union in New York, teachers, administrators, and parents heeded the call to action to ease what many described as an increasing burden on day-school families. Throughout the past year, several key players emerged, each with ideas on how to solve the problem. Indeed, the community saw a number of initiatives put forward; some gained momentum while others fizzled. JEFG’s main project has been Northern New Jersey Kehillot Investing in Day Schools, or NNJKIDS, a fund-raising initiative meant to shift the burden of tuition off of the parents and make it a communal priority. Formed in May 2009, NNJKIDS handed out $300,000 to eight area elementary schools throughout the course of the past school year. Organizers declared May NNJKIDS Month, a fund-raising push in the community that netted about a quarter of a million dollars. “There was a tremendous increase and uptake in the amount of awareness around NNJKIDS,” said Sam Moed, chair of JEFG. More than 60 businesses participated in the month-long program. Business-owners asked customers to contribute to NNJKIDS at checkout, and day-school children collected pledges for a learn-a-thon during Shavuot. One donor had promised a matching grant of up to $100,000 and NNJKIDS organizers reported that the full match would be collected. JEFG leaders said their donations mitigated tuition by $200 per student. JEFG isn’t resting on its laurels, however. “We’ve got to continue to work on this and not in any way take our focus off different funding models and different approaches to all models of day schools,” Moed said. United Jewish Communities of Metrowest in northwestern New Jersey has successfully created a community mega-fund. The $50 million campaign began with $13 million in contributions from 11 families in 2007 and sparked an idea within JEFG to replicate the endowment fund here. David Moss, assistant executive vice president for endowment at UJA-NNJ, who has been working with JEFG on the mega-fund, said the idea is still being explored. The hope, according to Moss, is that such a fund would contribute not only to North Jersey’s day schools, but to congregational Hebrew schools as well. While he is a firm believer in day schools, Goldin said expanding the mega fund to include congregational Hebrew schools is a demonstration of JEFG’s commitment to educate every Jewish child. “None of us is on an island,” he said. Indeed, NNJKIDS has pulled together representatives of the area’s Orthodox and Conservative day schools and earned the support of the Rabbinical Council of Bergen County, which represents the area’s Orthodox rabbis, and the North Jersey Board of Rabbis, which represents the area’s Conservative, Reform, and Reconstructionist rabbis. Ruth Gafni, head of school at Solomon Schechter Day School of Bergen County in New Milford, told The Jewish Standard during NNJKIDS Month that the organization has created a sense of community. “The message is you’re not in it alone,” she said. More than 170,000 students in New Jersey attend some 1,200 non-public schools, according to the Orthodox advocacy group Agudath Israel of New Jersey. Of those, about 80 percent attend religious schools. The government provides $137 in aid per private-school student – $72 for nursing services and $65 for textbooks. A handful of groups is exploring options to expand that funding within the confines of the separation between church and state. In one of his final acts in office in December, Gov. Jon Corzine created the Non-Public Education Funding Commission to investigate how the state can aid non-public schools. Assemblyman Gary Schaer (D-36) and George Corwell, director of education of the New Jersey Catholic Conference, co-chaired the commission, which turned in its report to Gov. Chris Christie last month. The 23-member commission also included the commissioner of the New Jersey Department of Education, and the state treasurer and attorney general, charged with monitoring the church-state barrier. As of earlier this week, the commission’s findings had not yet been made public. Schaer declined comment until Christie’s office releases the report. Howie Beigelman, deputy director of the OU’s Institute of Public Affairs, testified before the New Jersey Senate’s Committee on Economic Development in support of the Opportunity Scholarship Act, a bipartisan bill that would create scholarships to be funded by corporate donors and provide tax credits for those corporations. Similar programs have already been instituted in Pennsylvania and Florida, while the Maryland Senate recently passed a similar bill. Josh Pruzansky, director of Agudath Israel of New Jersey and chair of the New Jersey State Non-Public School Advisory Committee, praised Christie’s stance toward school choice. Christie has drawn criticism across the state for slashing public school funding. More than half of the proposed school budgets across the state were voted down during April’s contentious school board elections. The elections were particularly contentious in Teaneck because of a slate of candidates for school board who didn’t have children in the public schools. This led to some accusations that some in the Orthodox community were willing to sacrifice the public schools to lower property taxes. This is not the case, Beigelman said. The local community is beginning to enter the political arena as well. Jerry Gontownik, vice president of the Englewood-based pro-Israel NORPAC, earlier this year founded EDPAC, dedicated to promoting day-school funding in Trenton. He said one of the areas his group would push is to increase state funding for special education in parochial schools. Tuition at Sinai Schools – which is devoted to special education and has campuses at Rosenbaum Yeshiva of North Jersey in River Edge, Joseph Kushner Hebrew Academy in Livingston, Torah Academy of Bergen County, and Ma’ayanot Yeshiva High School for Girls, both in Teaneck – charges base costs of more than $40,000 for in-state students and more than $50,000 for out-of-state pupils. Like other advocacy groups, EDPAC is waiting for the governor to release the non-public schools report. The Orthodox Union first brought the issue to the public’s attention at a conference for educators last year. OU leaders promised action to stem the increasingly prohibitive tuition, and the organization has made some progress, said Cary Friedman, associate director of day-school and educational services at the OU. Approximately 15 schools throughout the tri-state area have signed on to a joint health insurance program the OU is coordinating. The OU, Friedman said, has created a professional employer organization, Advantec, so that all staff of the schools in the plan become employees of the new, larger organization. That organization then negotiates lower insurance rates for all the employees spread throughout the different schools. The Internet may provide another source of relief for day schools. Some states have online charter schools, which – if used for secular components of day schools – could represent cost savings of up to 30 percent, Friedman said. This could also be a way around the church-state issue for funding of secular education. “That online participation a kid can do in his basement, in a public library, or in a yeshiva classroom next to 19 other kids also signed up for the charter classroom,” he said. New York and New Jersey currently do not permit online charter schools. Chabad on the Palisades in Tenafly has run a preschool for 13 years, but each year it has faced a dilemma of continuing education, said executive director Rabbi Mordechai Shain. In recent years, Shain has noticed a trend among parents to put their children into public school after they finish at Chabad. Their argument, he said, is the high quality of Tenafly schools and the cost: Free. In response, Chabad opened a kindergarten last year with 11 children. In November, registration for the 2010-11 year had reached 40 students. In response to the growth, Chabad created a first-grade class, which will begin in September with a class of 10 at a cost of $9,700 per student for first grade, and $9,400 for kindergarten. Both classes require a $770 registration fee as well. Elliot Prager, principal of The Moriah School in Englewood, the closest day school to Tenafly Chabad, said he does not expect the new school to affect Moriah. Chabad’s school, Shain said, is not meant to detract from any of the existing day schools. He estimated that about half the enrollment of the kindergarten and 60 percent of the first-grade class comes from Tenafly or surrounding areas that don’t have large Orthodox populations or large percentages of students already in day school. “To reach people here, in this community, there’s no other way if we don’t open our own [school],” Shain said. One of the ideas floated around last year was to create a low-cost day-school that offered basic educational services without many of the perks – advanced computers, smartboards, extra-curricular activities – now common in day schools. This idea never took off, but it caught the attention of the Jewish Foundation School in Staten Island, which charges local students an annual tuition of $8,500. JFS extended that tuition rate – which includes $2,000 for transportation – to Bergen County families. Uri and Devra Gutfreund of Bergenfield sent their three children – ages 6, 9, and 11 – to JFS this year and said they were very happy with the less expensive option. The school held two parlor meetings in the area last year and another two in recent months. One additional family has expressed interest in the school for the 2010-11 school year. JFS principal Rabbi Richard Erlich said he has been disappointed with the response so far from Bergen County, but he understands parents’ fears. The big stumbling blocks for parents, Gutfreund said, are the commute and social life of the child. JFS will continue to offer the $8,500 tuition to North Jersey families, Erlich said. About half of the school’s 400-odd students from Staten Island and Brooklyn receive some form of scholarship, but none of those funds is available for New Jersey families. At a few thousand dollars less than the local schools, however, Erlich said New Jersey families are already receiving quite a bargain. Funds from NNJKIDS mitigated tuition increases across the board by about $200 per child, according to JEFG and school officials. 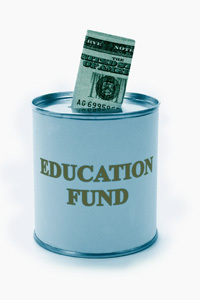 It’s a start, but many schools still had to raise their rates and find other ways to cut costs. Bat Torah ““ The Alisa M. Flatow Yeshiva High School in Paramus is raising its tuition for the coming year to $10,000, an increase of $1,000 from this year’s rate. The school relies on its efficiency and goodwill of its parents to keep its prices low, said principal Miriam Bak. One of the areas in which the school saves is by not paying teacher benefits. Most of the staff of almost 30 teachers is part time, though they are well-trained specialists and the school goes out of its way to accommodate schedules, Bak said. At Ben Porat Yosef, which shares the old Frisch building with Bat Torah, tuition for pre-K rose $400 to $13,600, while tuition for first through fifth grades rose $400 to $14,200. The nursery school lowered its tuition by $1,300 to $7,900 and the toddler class lowered its tuition by $800 to $6,900. The school has 215 students enrolled for next year, an approximately 40 percent increase from this past year, said Yehuda Kohn, vice president of the school’s board. Next year will also mark the school’s first fifth-grade class. The school held a scholarship walkathon recently that raised more than $60,000. BPY is also working with Yeshiva University’s Institute for University-School Partnership to create new avenues for revenue without increasing tuition. In addition, the school is “actively pursuing” all cost-cutting ideas, Kohn continued. “No line item on our budget is immune,” he wrote. “We’re learning to do more with less. We’re going to have to take on that mantra,” said Joel Kirschner, executive director of Yavneh Academy in Paramus, who spoke with the Standard last month. Yavneh raised its tuition for kindergarten to fifth grade to $13,300 and tuition for sixth through eighth grade to $13,975 – representing a $200 increase on both levels. The school’s allocation from UJA-NNJ has also decreased in recent years, Kirschner said. The federation gave it $105,000 for the 2005-06 year, while the allocation for 2009-10 was under $30,000. The non-profit world has been one of the biggest victims of the economic downturn, but UJA-NNJ has increased its 2010-11 allocation to 13 schools to a total of $221,357 – an $8,520 increase from this past year. Fund-raising among parents of current and former students, as well as within the community, provides 10 percent of the school’s budget, Olivestone wrote. Basic tuition at The Frisch School in Paramus for 2010-11 will increase to $21,950 from $21,250, according to the school’s president, Martin Heistein. About 27 percent of the families of the school’s approximately 660 students this year received some form of scholarship. The school has also avoided layoffs, Heistein said. “We’ve reviewed all the remaining aspects of the budget and tried to toe the line where possible,” he said. Moriah has increased tuition by 1.9 percent across the board, bringing the total for kindergarten to second grade up to $13,380; $13,635 for third through fifth grade; and $14,050 for sixth through eighth grade. Salaries stayed level this year and will remain the same into next year, he continued. The school did lay off “several” mostly part-time employees, though Prager would not comment on the exact number. “It’s certainly something we didn’t want to do but felt in order to be financially responsible we had to tighten the staffing somewhat,” he said. The school has cut back costs on color printing, energy, and is spending on only “necessary purchases” of educational resources, Prager said. RYNJ cut 10 jobs and kept salaries flat during the 2009-10 school year. Along with a reduction of positions, responsibilities, and pay, the school avoided a tuition increase from 2008-09 by cutting $500,000 in costs, said the school’s president. The school projects an enrollment of 970 children in preschool through eighth grade next year, an increase of 35 students, and an average increase of $150, or 1.1 percent, per student per grade, according to Rosenbaum. The increase breaks down to $255 for grades four through eight, $125 for grades one through three, and no increase for preschool. No other increases are planned, according to Rosenbaum. The school is also looking to restructure teacher compensation and benefits, including giving tuition breaks for children of employees. “These efforts are having a one-time impact on our economics but once we get over the initial bump, will position us well in the coming years to manage our costs,” Rosenbaum said. Sinai also moved one of its elementary programs into RYNJ last year, which has helped defray the costs of the school’s expansion, Rosenbaum said. “Sinai has been a great addition to our school, and we look forward to finding additional ways to collaborate to reduce costs and run fund-raising programs together,” he said. RYNJ is one of four schools that saved a combined $24,000 through an electrical group-purchasing plan under UJA-NNJ. The nine-month-old program also includes Yavneh Academy in Paramus, Solomon Schechter Day School in New Milford, and Gerrard Berman Day School, Solomon Schechter of North Jersey in Oakland. Frisch, Yeshivat Noam in Paramus, and Moriah School also recently signed up. “In these turbulent economic times, we recognize the value of working together as a community to reduce costs wherever possible,” said Matt Holland, UJA-NNJ’s community purchasing manager. To make the program work, the schools turn their electric bills over to UJA-NNJ, which then arranges for a single supplier, such as Con Edison or Suez, through Public Service Electricity & Gas. Supply costs can account for 78 percent of an electric bill. The program began as part of the Kehillah Partnership, a group of community organizations that works to save on expenses and resources. The Kehillah Cooperative is the cost-sharing arm of the Partnership and it has netted savings for numerous community organizations. One vocal day-school critic has taken to the Internet to vent his views with a blog called The $200k Chump, which takes its name from the high salary required to afford tuition. The anonymous blogger, who declined a telephone or face-to-face interview, claims to be a parent paying full tuition at one of the county’s schools and frequently writes about the “legacy schools” – Frisch, Moriah, and other established day schools – and why efforts to lower tuition there will not succeed. The blogger has lashed out against school officials, as well as NNJKIDS for raising money the writer claims is used to hire more administrators. The Chump has also written about other alternatives, including charter schools, JFS, and “the nuclear option” – enrolling students in public schools. Ideas for charter schools – an Englewood man has been trying to create a Hebrew language charter for two years – and after-school Talmud Torah programs – the Jewish Center of Teaneck has flirted with the idea and is ready to go if enough families show interest, according to Rabbi Lawrence Zierler – are not new but have yet to gain steam. The community has a responsibility to continue exploring all options, said JEFG’s Goldin. The OU’s Friedman warned against complacency, even if the national economic picture looks brighter.